UFC 149 aired Saturday night to a less-than-stellar reception — four of the five main-card bouts went to the judges, and the fifth featured a Canadian losing by submission, in Canada. When UFC President Dana White tells fans, “Listen, we’re going to have bad fights,” the promotion clearly could use a lift. How does a promotion put a bad fight night behind it and generate excitement? 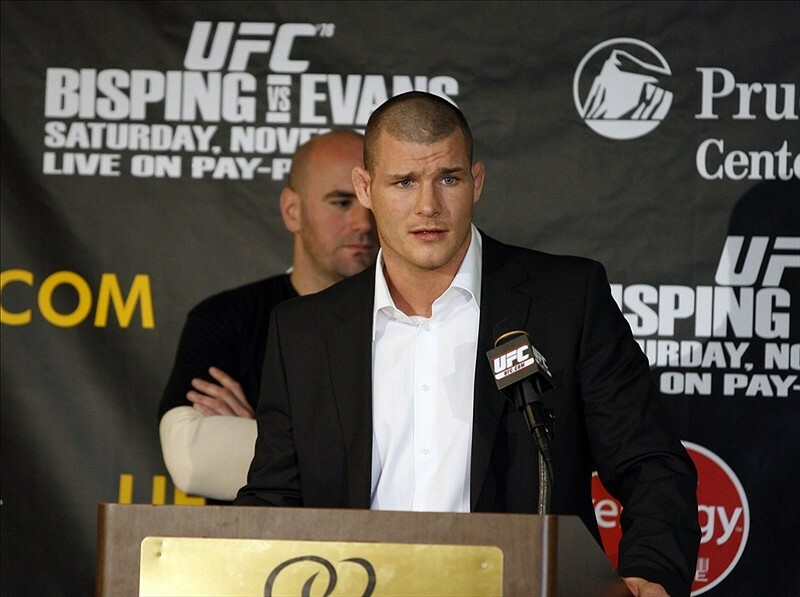 Hand a microphone to controversial middleweight Michael “The Count” Bisping. Even better, hand another one to his upcoming opponent — former Marine Capt. Brian Stann. That happened late Saturday night/early Sunday morning on the FUEL TV post-pay-per-view broadcast, which Stann co-hosted. The trash-talking was kept to a dull roar, according to this Fightline.com recap, with Stann pulling the plug on any over-the-top animosity from the start. “I think I’m going to win. I know you think you’re going to win. I want people to know we aren’t trash talking; we’re getting excited about the fight and giving the fans the fight they want to see in Toronto,” Stann said, per the recap. Bisping answered in similar, respectful tones (though he managed to work in a “beat the living crap out of you,” to keep up appearances). Will the kinder, gentler trash talk last through Tuesday’s press conference? If you can’t catch it in person, it’s streaming live at 12:30 p.m. over at MMAJunkie.com. In addition to any theatrics promoting the Sept. 22 fight in Toronto, expect lots of questions about the middleweight title picture, which clouded up Saturday night after Tim Boetch’s less-than-convincing split-decision win over Hector Lombard, ending the Bellator phenom’s 25-fight unbeaten streak. Boetch also broke his foot during the fight, keeping him out of immediate consideration for a title match with reigning middleweight superman Anderson Silva. Chris Weidman’s likely next in line, but Bisping told ESPN before Saturday’s fight he’d been given unofficial word that an impressive win over Stann would mean a fight against Silva. Would a Stann win put him on the fast track to the title? Would either or Bisping have to avenge their loss to Chael Sonnen to reach championship consideration? Where do Boetch and Weidman factor in? Will Silva move up to fight Jon Jones at 205 pounds? Will the Canadian fight media explode this week? Didn’t take the UFC long to get the excitement back.